Henna, the plant, scientifically known as Lawsonia inermis has been around for at least 5,000 years. Its exact origin has been difficult to place. It has been claimed by historians that the Mongols brought Henna to India in the 12th century while others say it originated there. Then again they also say it originated in North Africa and the Middle East since ancient times. Archeologists have discovered that Henna was used on Egyptians prior to mummification when they started to find mummies with stained fingers and toes. Henna has only recently been introduced to the West. Many celebrities have made it popular and a noticed artform in America and Europe. Some celebrities include Madonna, Gwen Stefani, Mira Sorvino, Prince, Kathleen Robertson, Naomi Cambell, and many others. 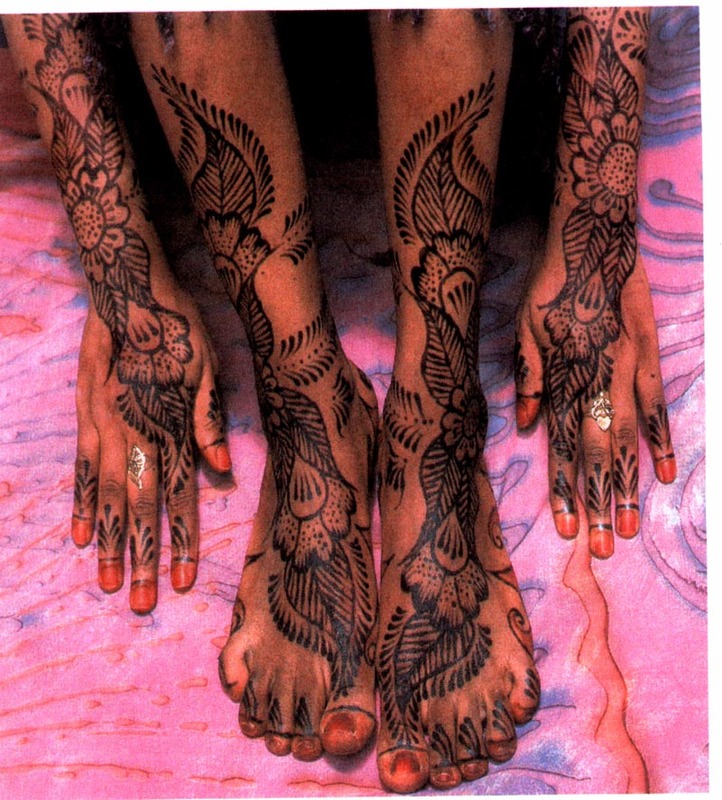 National Geographic did an Article on African Marriage Rituals in their November 1999 issue which one of the countries used Henna. Its a very good read.